We spoke to Goal Click about their ambition to find one person from every country in the world, provide them with one analogue camera, and take photos symbolising football in their country. It wasn't long ago that people were claiming that analogue film photography was dead. In today's world of iPhones, instagram filters and digital cameras, the results we capture are instantaneous; shareable within seconds. Convenient? Yes. However, no matter how many retro filters you can acquire, nothing can replicate the results that film photography brings. Waiting until the film is processed and scanned is all part of the magic. A slower process, yes. More rewarding? Most definitely. A roll of film creates a story. 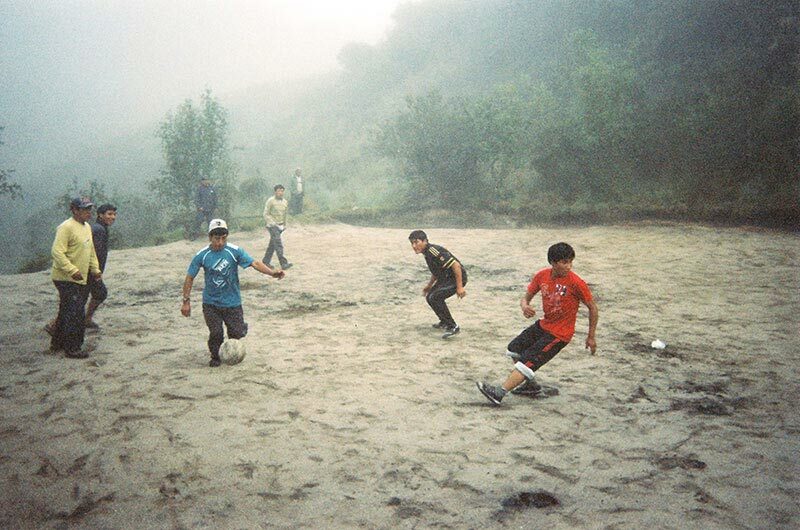 What happens when you mix those more tangible memories with football on a global scale? 'Goal Click'...that's what! A heady mixture of diverse stories, characters and backdrops. 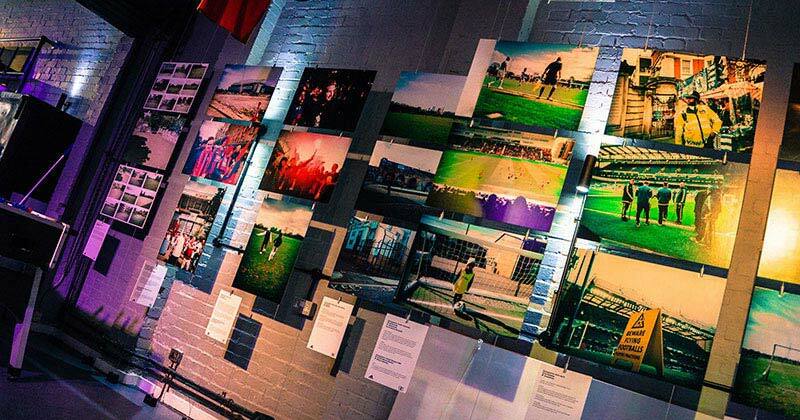 FOOTY.COM were lucky enough to attend Goal Click's recent exhibition in Shoreditch, London and we caught up with Goal Click co-founder Matthew Barrett to find out what makes this exciting project tick (or click!). 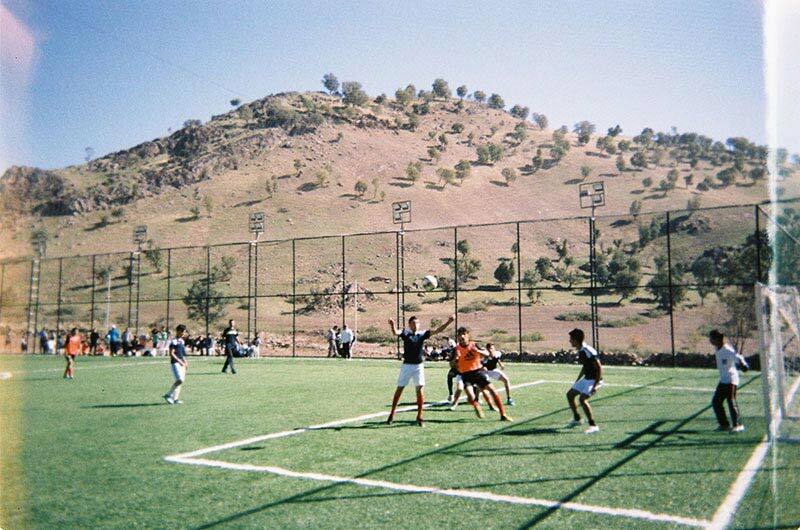 A Spirit of Soccer training session near Kirkuk, Iraqi Kurdistan - the focus of recent media attention due to the ongoing conflict in the region. Spirit of Soccer's mission is to use football to educate children about landmines and explosives in areas of past or ongoing conflict from Cambodia and Colombia to Syria and Iraq. "We find one person from every country in the world and send each of them one disposable analogue camera. The photographers take photos of football that symbolise their country or personal story and send the camera back to us." "We aim to tell powerful human stories through the lens of football and stories about football's impact around the world - the similarities and differences between people and countries, and the power of football as a force for social good and conflict resolution. We try to find the most compelling stories, from civil war amputees in Sierra Leone and Kurdish football on the border with Islamic State, to Serbian ultras, Mexican police or life on the Inca Trail in Peru or in the Ural Mountains in Russia!" "Ed has a big passion for analogue photography and suggested an idea around providing football fans with disposable cameras for the 2014 World Cup in Brazil. My background was studying the role of sport in war zones and politics, so suggested that we embark on a global quest to find one person from every country in the world to do this project." 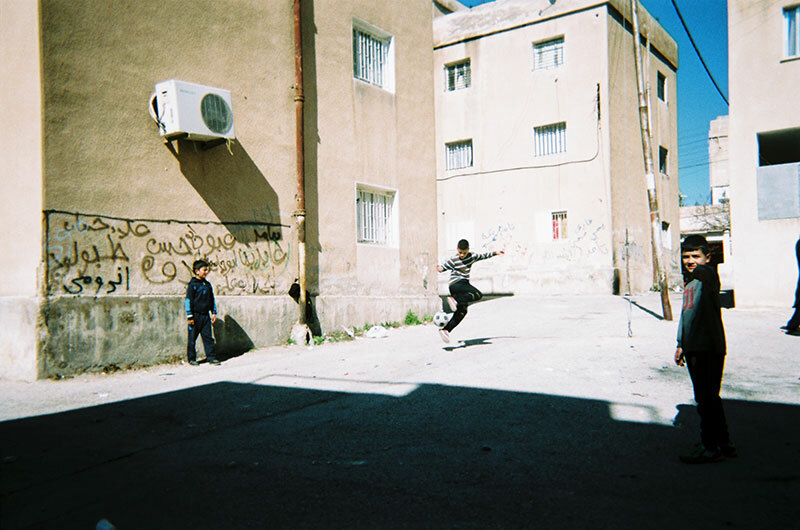 Children show off their football skills in Amman, Jordan. The pair initially had relatively low expectations, assuming they may only be able to glean a couple of decent images from each roll of film. 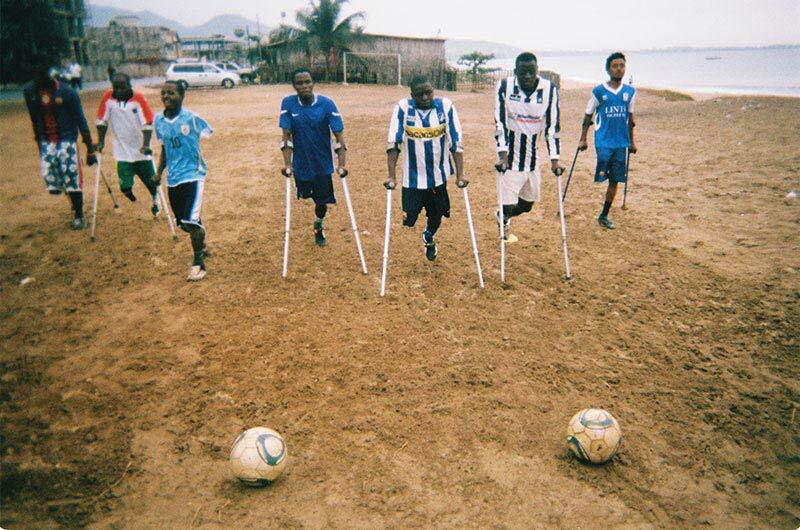 They received their first film back in late 2014 from the Single Leg Amputee Sports Association (SLASA) in Sierra Leone and were more than pleasantly surprised: "The photos were absolutely incredible. At that moment we knew the project could be special." Matthew informs us. Having seen the success of their first roll of film, the momentum of the project began to snowball. To date, Goal Click now has photographers in over 60 countries: ranging from individual fans, players and coaches at grassroots level, to professional photographers, professional players and various football charities and social development projects. "For instance we currently have cameras in 3 refugee camps. It's a major issue of our times and Goal Click wants to tell the powerful stories associated with people who have found themselves in these situations." "Beyond these sub-projects, we are looking at creating short documentaries on some of the stories we are uncovering. But most importantly we want to be able to help the football organisations that we are working with, particularly in parts of the world with a history of or ongoing conflict. To be able to create a social enterprise that both tells their stories and helps support their work...that would be the ultimate aim." The strides Goal Click have made so far are much to be applauded, and highlight the power football has on a global scale: uniting people and providing purpose and stability in places where social and political conflict is hard to overcome. We look forward to seeing the results the project will bring in the next few years! Mexico City. The student band of leading Mexican club Pumas UNAM (National Autonomous University of Mexico) prepare to play before Pumas kick off against Chiapas Jaguares. 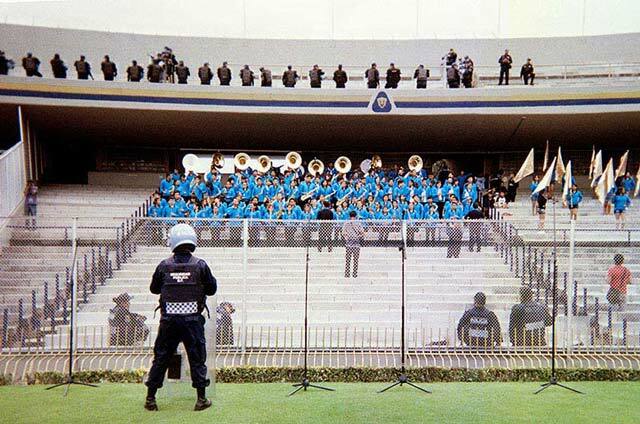 A heavy police presence at the Estadio Olimpico Universitario is visible in front of the band and armed anti-riot police stand on the concourses above. Mexican artist and landscape photographer Pablo Lopez Luz documented a typical match day at the Estadio Olimpico Universitario. Perm, Russia. "Prikamie" Perm vs "Kama" Osa in the quarter-final of the Perm Krai Cup. 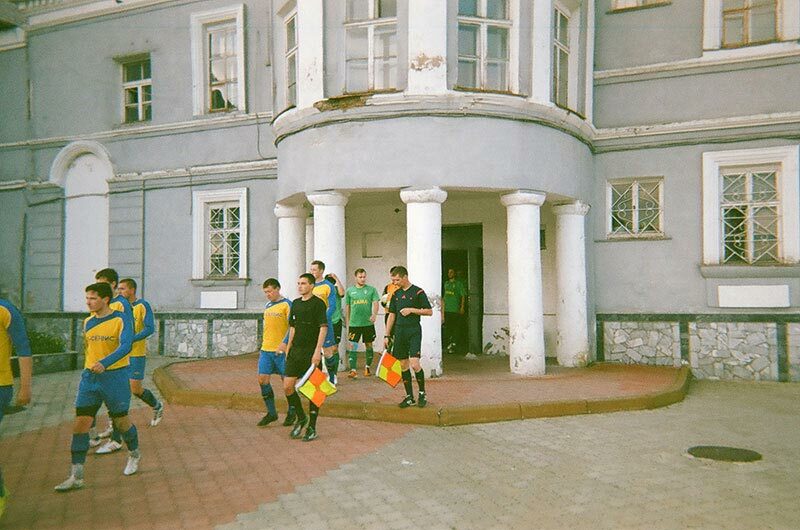 The two teams emerge from the changing rooms, a local building which has fallen into a bad condition. Young Rwandan football players train in Nyanza, Rwanda, as part of the Football for Hope, Peace and Unity (FHPU) programme. FHPU uses football to raise awareness of the 1994 Rwandan Genocide against Tutsi (which killed over 1 million Tutsi and moderate Hutu) and rebuild Rwandan society through reconciliation and unity. The ultimate derby match. 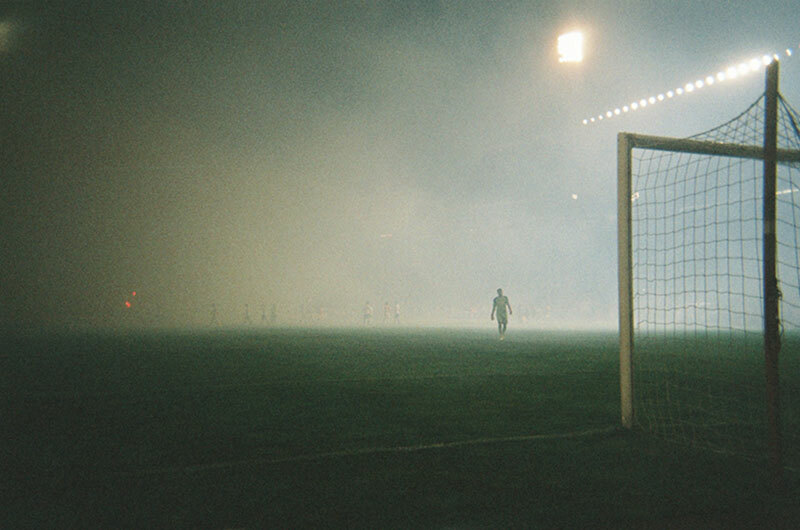 Red Star Belgrade versus Partizan Belgrade in Serbia, also known as ‘Veciti Derbi’ (Eternal Derby). As part of a collaboration with Copa90, David Vujanic travelled to the Belgrade Derby, notorious for its intensity and hostile atmosphere. This match did not disappoint, with fires and flares in the stands and a riot delaying the match as police dealt with fan clashes. The Single Leg Amputee Sports Association (SLASA) football team plays on Lumley Beach in Freetown, Sierra Leone. Pastor Abraham Bangura is coach of the team. 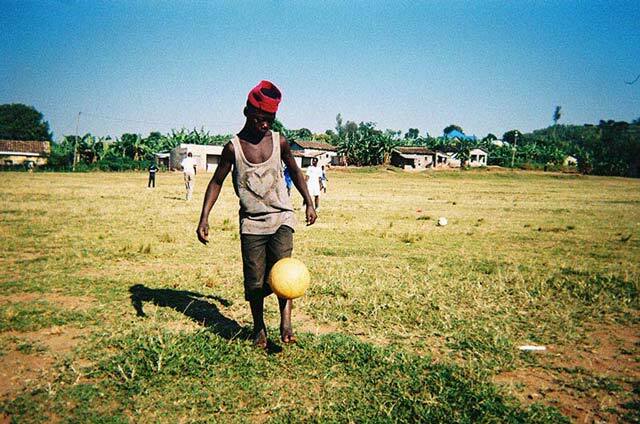 Football is an important way to help those affected by conflict overcome their injuries and re-integrate into society. What do you think of Goal Click's ambitions? Which story interests you most? Share your feelings in the comments section below.